Merry Christmas! I was trying to think of something to do with Christmas and it’s with thanks to Dale and Zoe I have the true tale of Wendy Bendy Bertha. 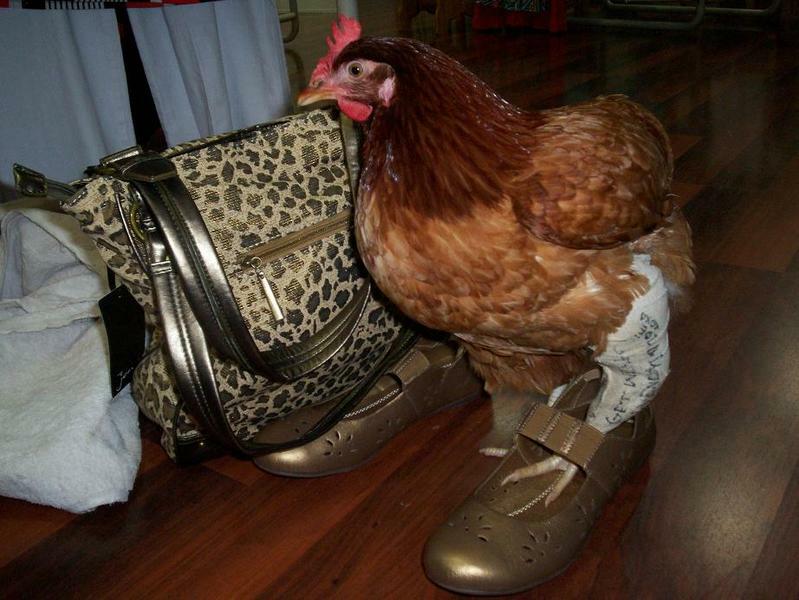 Poor Wendy (formerly named Bertha) the Chicken, somehow broke her leg. 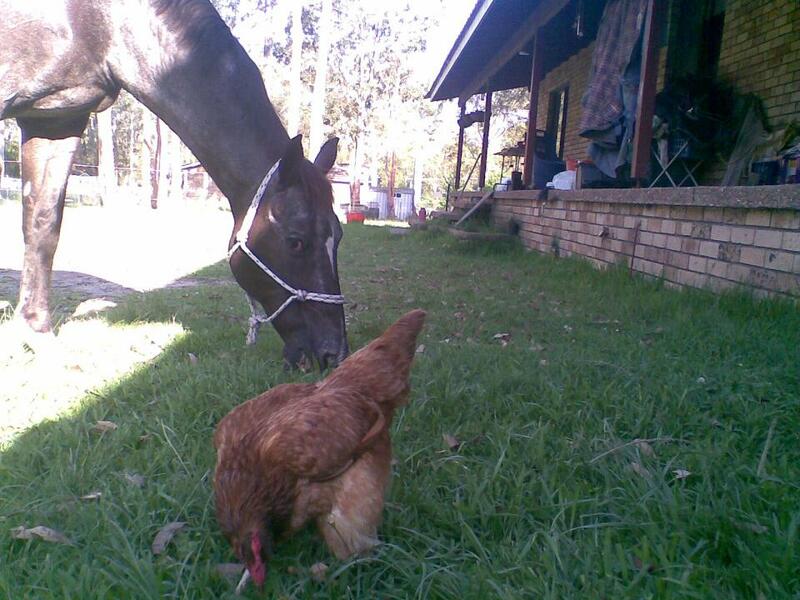 Dale and Zoe took her to the righteous vet at Raymond Terrace who set her leg in a cast. Her name now is Wendy Bendy Bertha. 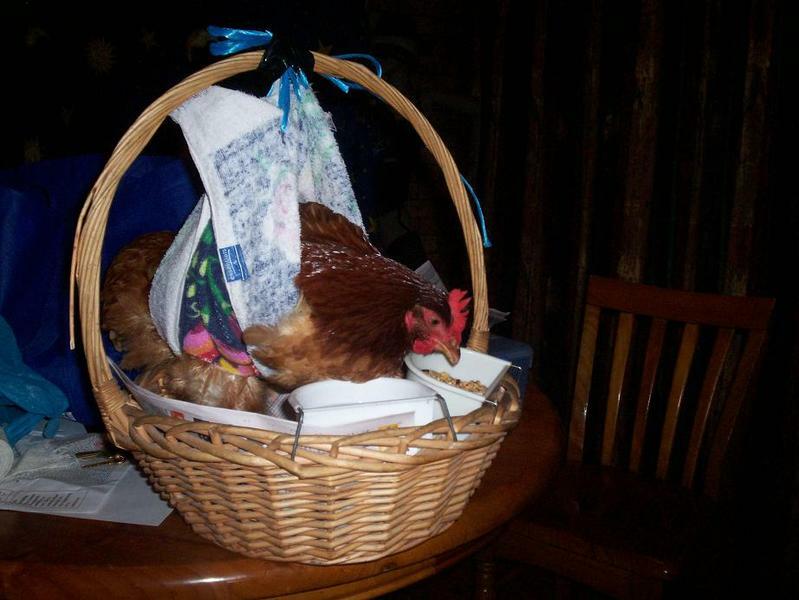 Poor Wendy had to be suspended in a basket and with lots of loving care was slowly on the mend. 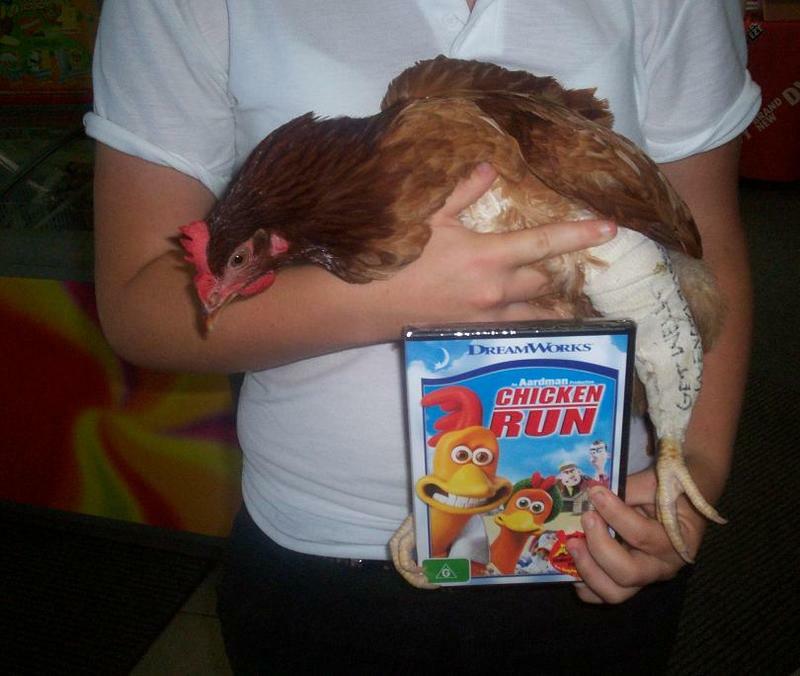 Wendy picked out a video – her favourite Chicken Run of course. 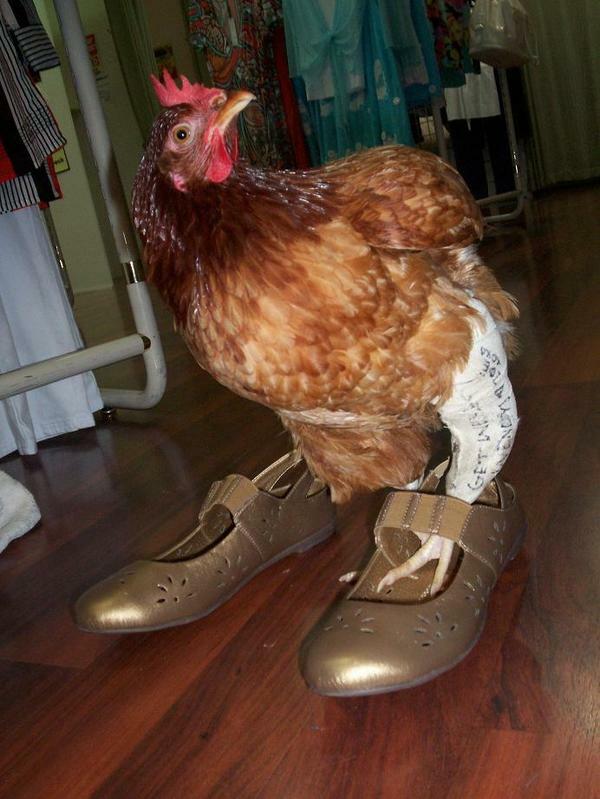 Wendy went in to try on some new shoes. Wendy even picked a handbag to match. 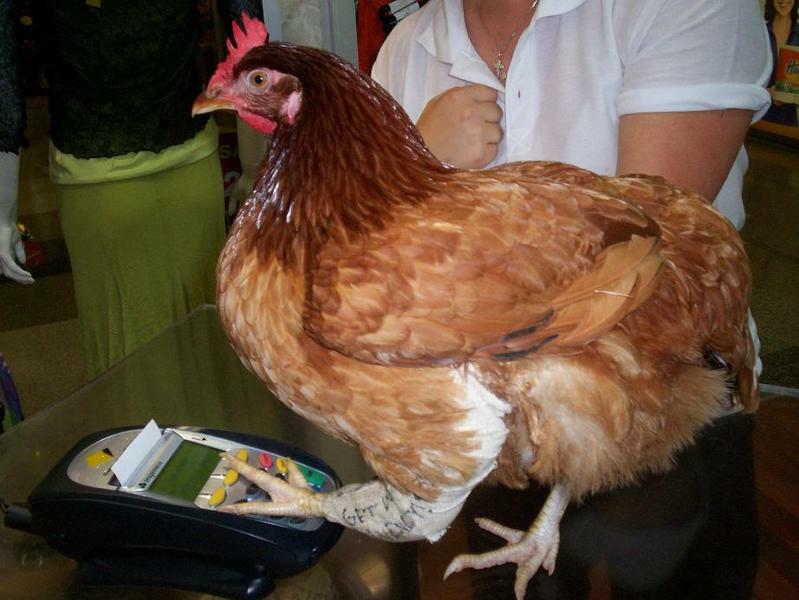 Wendy paid from her own credit card. 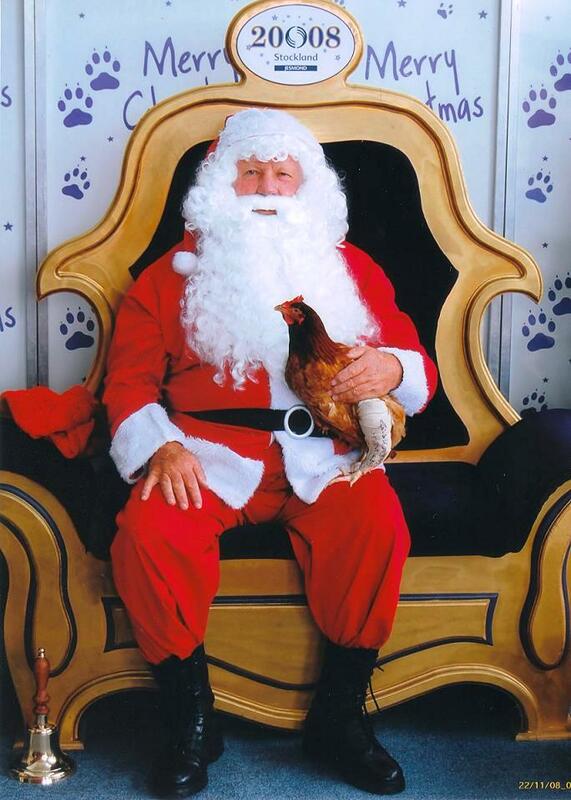 Wendy even got to sit on good Santa’s knee and tell him what she wanted for christmas. 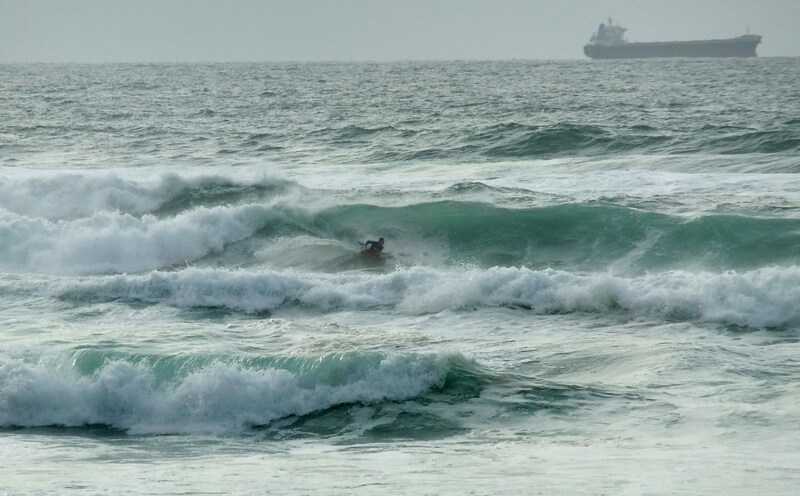 10/12/11 The surf was solid and choppy but this Redhead Body boarder finds a gem amongst the trying conditions. 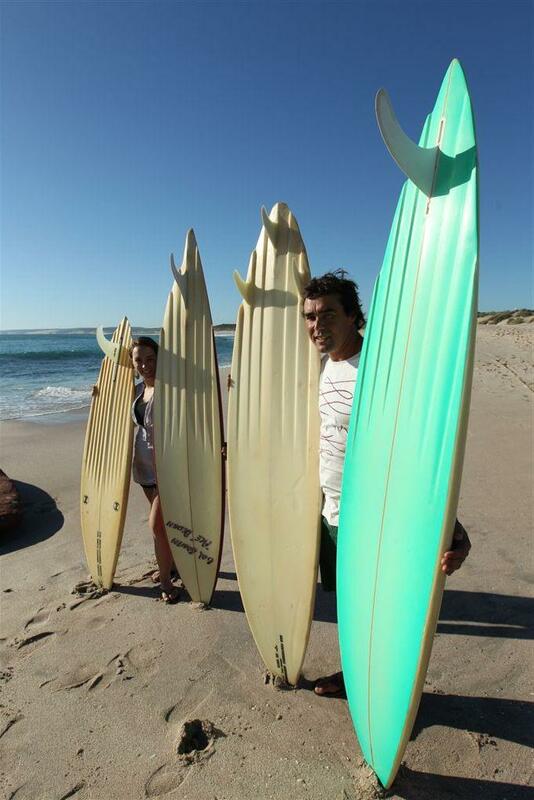 Rique Smith at Redhead with a selection of his dad Col Smith’s channel boards.Photo with thanks from David and Brendan. 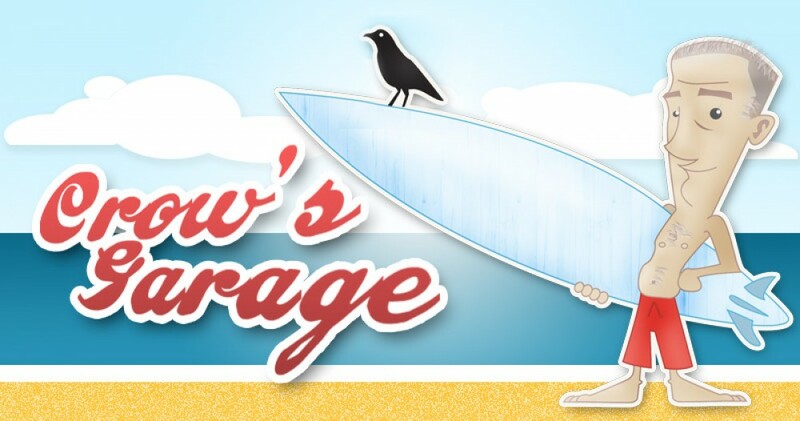 This entry was posted in Photos, Scenery, Surf by geoffcrow. Bookmark the permalink.